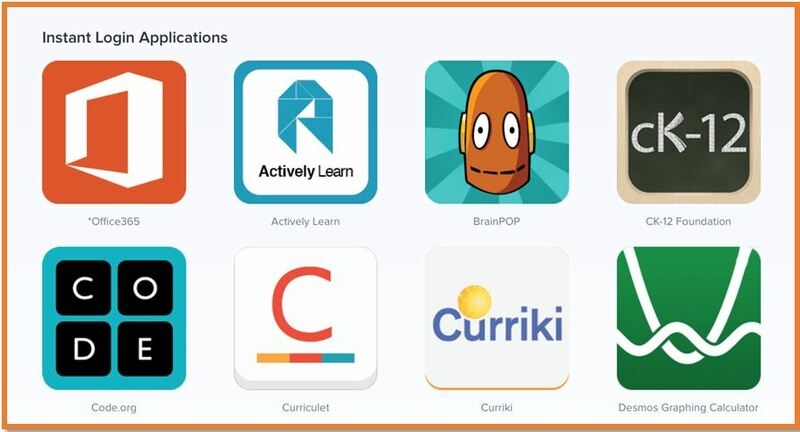 LAUNCHPAD is a student portal that provides access to the students’ Office 365 accounts as well as a multitude of digital academic resources which are provided by the district. With Launchpad, students are able to integrate technology in the classroom while maximizing instructional time. Launchpad is dynamic tool that changes resources as the needs of the students change. It is easily accessible from any mobile device. Log into any student computer. Username is s + student number (e.g., s1234567). Password (Grades 6 – 12): Students in grade 6 – 12 must log into a DCSD student computer to set their password. The default password is dekalb00. The student will be prompted to change password which will take about 15 minutes to communicate to the appropriate systems. Double-Click on the DCSD Launchpad iconon desktop. The portal screen should appear. How Do I Navigate Launchpad? Launchpad is set up in two sections: Instant Login Applications and Additional Resource Links. Instant Login applications signs you directly to the digitalresource. Click on the icon and the application will launch in a new window. The application is ready to use without any further login actions required. 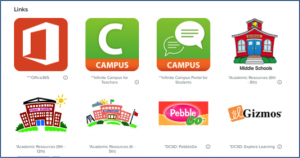 Additional Resource Links connects students and teachers to additional resources that may require additional login credentials. You may have to sign into the application. Click on the information symbol for more information on how to log in. How do I access my Office 365 Account? Office 365 accounts are accessible from DCSD Launchpad. Just click on the on the Office 365 icon to access the student’s account. Students will have access to email (students and staff within assigned school), calendars, online versions of Word, PowerPoint, and Excel, as well as cloud storage. Make sure that you have the correct student number. You can see your child’s teacher or check progress reports for this number.